If you are looking for a high quality, durable rug that will create a statement in your home then choose one from our Cottage collection. These rugs are bold and detailed, without losing their classic looks. Paired with similar coloured furnishings, these rugs will create a contemporary style of your very own. Machine woven in Belgium, these high quality, yet cheap rugs are available in two sizes, and a range of geometric designs, so you are sure to find something to suit your taste and your space. 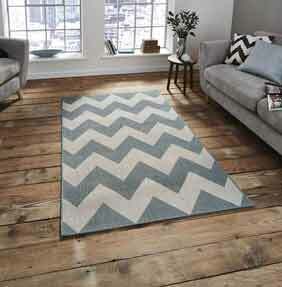 If you are looking for excellent value for money and a beautiful rug then look no further than the Cottage collection.